High in the Himalaya, beyond the Annapurna range of snow covered mountains, lies the Kingdom of Mustang, for many the lost Shangri la, and a place of pilgrimage. Due to weather conditions, this was Steve Carver’s second solo attempt to get there by old motorcycle. Day One, and I found myself staring at a lonely track ahead of me. A loose, white dusty trail that would take me around 100 miles north – behind the Himalaya – and more challengingly – 15,000 feet upwards into the sky. There was a sense of foreboding about it. Riding solo and not knowing what’s ahead, you do well not to let the vulnerability get to you. But the isolation, the unknown challenge of it, is also an enticing adventure. Before I’d set off from Kathmandu, I had a conversation with some experienced Nepali men. ‘It can’t be done’ they said. ‘You can’t drive solo. Not there.’ When I insisted, another added ‘He’s British,’ and I didn’t know if this was a compliment due to a sense of daring, or if the British were known to be stupid. And so today, I found myself, alone and facing up dusty forlorn trail, not knowing if I was daring or stupid. All I knew, was that I would be going. The pursuit of happiness has long been seen as life’s ultimate goal, but is this true? To describe life’s primary objective as ‘to be happy’ is an overly simplified answer to a very complicated question. If a pill was developed that would make people happy for the rest of their lives, they would not take it. Happiness needs authenticity. Happiness alone is not a meaningful life objective. Permanent happiness is unattainable and so it should be. Moments of joy and happiness elevate the senses, all the more so, as they happen infrequently. Ask Alexandra Fleming when he was developing penicillin, to leave the labortory, give up his experiments and go out and have fun and be happy, and he’d tell you to go away. The real goal in life is fulfilment. To test this theory is simple. One cannot be happy if one is not fulfilled. Yet, when one is fulfilled it is possible to be happy. Fulfilment is infinitely subjective, based on environment, ability, temperament, so on and so forth. Many people in the developing world do not have the opportunity to be become fulfilled. In the West, we should count ourselves lucky. Fulfilment comes in many guises, with different levels of simplicity and complexity. A passionate gardener tending huge acreage, or an actor playing many theatre roles for example, might achieve great fulfilment through their working lives – it is not necessary to be an eminent scientist or intellectual. The work that one chooses (or has little choice to do) will have an impact on life fulfilment but not wholly so. It is possible, although with lesser degrees, to live a fulfilled life outside of the workplace. Fulfilment goes beyond personal goals and encompasses our relationships with others and the world as a whole. Generally living the life that one chooses; actualising our abilities we want to develop, having rich, worthwhile relationships with others and showing compassion in the world, can all lead to a fulfilled and contented life. Fleeting happiness will occur as a consequence. But it is not an end in itself. Life has too many ups and downs to make happiness permanently possible. Yet fulfilment in all its guises is all the more worthwhile. Taken from the book ‘Happiness & How to Avoid It’ by Steve Carver to be published soon. 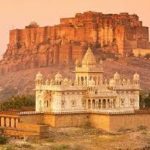 Our first group to India is arriving soon and we’ll camp under the stars in the desert, visit the Exotic Marigold Hotel, stay in unusual places, ride camels and take a train across the desert amongst other things. If you would like a free copy of our 17 page guide on the tour, perhaps to consider coming next year, let us know and we’ll email it to you. In the meantime, here is a video of Udaipur where we stay 3 nights. As many who’ve traveled with us to Nepal will know, on our tour we visit the birthplace of the Buddha, and in this spiritual couple of days; we explore how to create more happiness in our lives – regardless of any religion. We’ll be led by our lovely Buddhist monk on this part of the holiday which is fascinating. 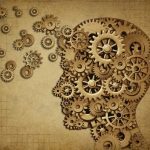 The ‘four noble truths’ of Buddhism suggests that our attachment to desires can lead to unhappiness, but as you’ll probably find out, this doesn’t mean that you can’t enjoy desires – even the simpler ones like desiring a cup of tea and then drinking it – the key word is ‘attachment’. If you’re attached to a desire this means that if you don’t satisfy it you’ll be unhappy. Perplexingly, it maybe useful to have many desires that you’re unattached to and if you accomplish a small number of these, rejoice in them, the others: just let them go. Also by attaching ourselves to a desire we hope to fulfill in the future, we can lead ourselves into a situation where we’re unhappy in the ‘here & now’ until we achieve this desire sometime in the future. 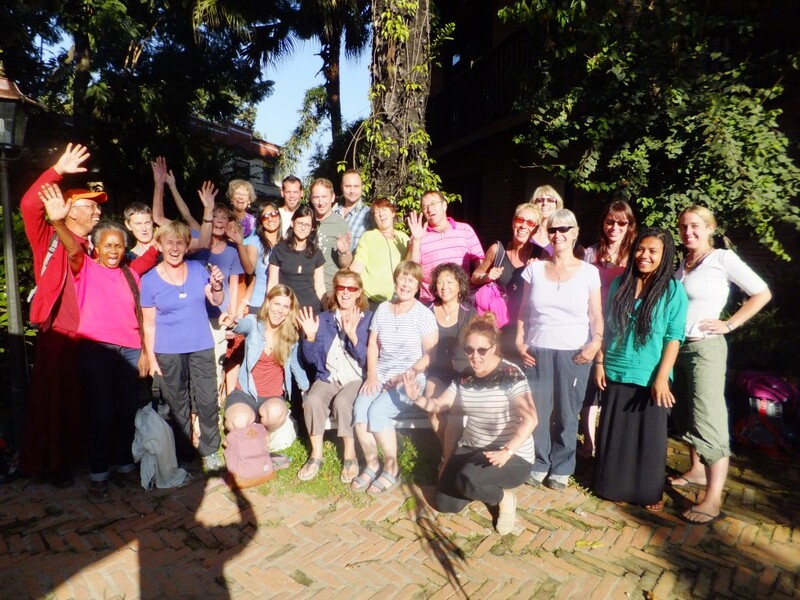 It’s important to live in the ‘now’ take happiness from it and the meditative practice of ‘mindfulness’ is something that can help (you can ask about this on this part of the Nepal tour). Perhaps too we need to create simpler desires in the first place that can be more easily attained and surpassed. We often see Asian people with less than ourselves who appear happy; Nepal has an abundance of these. Enjoying the many things we do have, rather than the things we don’t, also helps. 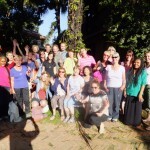 Here’s a picture of our group on our previous holiday to Nepal. As you can see, a very happy bunch, whatever religion! Bring me sunshine! Whilst we grin and bear the wind and rain, here is a picture from our holiday to Nepal last October. Here some of the group are whizzing by on old Nepalese bicycles as they tour the birthplace of the Buddha. It’s warm and sunny and the exercise was good after a guided meditation under a sacred tree. That same night the group stayed in a monastery – after sitting in the village with a cold beer . I hope this brings back warm memories of your holiday to Nepal. Romania may not be on everybody’s lips as a long weekend destination but it definitely has its attractions. Flights to the capital, Bucharest, start with Ryan Air for example, as low as £30 return – there’s mid day departures too – and the airport in Bucharest is a short ride from the capital (£5 by bus). 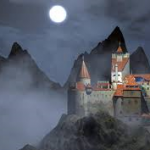 A perfect ‘5 day weekend’ would be to spend one or two nights in the old part of Bucharest, gastronomically it’s wonderful, then take a train to Brasov near Bran; the beginnings of Transylvania, and visit Dracula’s Castle amongst more restaurants and shopping. Back on the train, and Sinaia could be your next stop (just an hour from Bucharest) a pretty ski resort. Then return to Bucharest for one final night. Hotels are cheap; from around £30 a night for a good one, an hour on a train will cost you £1.50 and meals in nice restaurants start at £2. At £1.50 a glass, the wine is worth sampling too. Maybe this is one place we could add to the Angel Holidays agenda one day. The people, are wonderfully polite and helpful too. 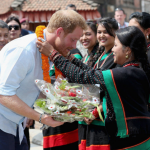 Many of you might had seen that Prince Harry is enjoying a holiday in Nepal, which is now firmly open for tourists. The prince has visited Kathmandu and ancient Bhaktapur, as well as the jungle. More recently he’s been in the Himalaya. All these places we visit on our tour to Nepal with Angel Holidays. In fact, he’s been photographed outside our hotel. If you might like to follow in his footsteps as well as stay in a monastery at the birthplace of the Buddha and fly around Mount Everest, our new tour dates are now set for 2017. Simply contact us to reserve your place for just £200. 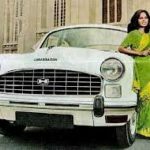 The Indian Ambassador motor car – based on the old the Morris III series from Cowley, Oxford – has ceased production since 2014, which is a sad state of affairs. It is a car that has transported royaltly, but more often than not, the ordinary man or woman, it has been and still is, an ordinary Indian taxi. The ride, due its generous suspension and Indian roads, may be overly ‘altitudiness’ but inside it is spacious and simple, and offers a glorious ride. Here is a BBC clip illustrating the charm of the car. We hope you take a chance to enjoy it on your holiday to India. The Rolls Royce and India have a special relationship in history. 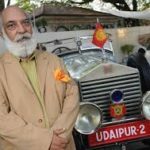 The Maharajas, many of whom enjoyed their relationship with the British, saw the vehicle not only as an ultimate status symbol but as a recognition of this allegiance. This interesting short film follows the Maharaja of Udaipur – where our group spends three nights on our holiday to India. Next month, our first group of intrepid travellers will be off to India, camping under the stars for a night, staying in old trader’s houses and palaces, riding camels, going on a train journey across the great Thar desert and seeing the Tal Mahal; amongst other experiences. We’ve mentioned the Exotic Marigold hotel will feature strongly on the trip, in fact we’ll be enjoying lunch in it. It might be an idea to watch the movie before travelling (there’s an Exotic Marigold Hotel 1 & 2; its sequel). Here is a link.